After a few years up north, Beams is back at the high scoring Pies. Beamer is one of the premier midfielders of the competition without a doubt. His move back to Collingwood will now see plenty of fantasy eyes placed on him to see if he can replicate or improve his already elite fantasy output. He has averaged over 100 throughout his entire career with ease, including the tendency to go big (like 140+ big) regularly. Last year he came home like a steam train, averaging over 114 after his bye from rounds 14-23. It was his 2017 year that should have people excited about him again, as he was able to play 21 games in the season for the first time since his amazing 2012 season where he averaged 116.3. He re-joins Collingwood as we all suspected he’d eventually do and they play a much more fantasy friendly style of play than the Lions. The Pies were the highest scoring fantasy team in 2018 with 5-6 players regularly scoring over 100 with ease and Beams should have no issue joining them. He is also a noted goal-kicker, averaging a goal a game over his 156 game career, which is elite for a midfielder. If this man can keep fresh and put together a full pre-season, there is every chance he is a top 8 mid come the end of the season. Beams is not as ripe and young as he was back in his old Collingwood days. He’s now 29 and although that is not old by any stretch of the imagination, it’s not particularly young either. Not only this, but there is no avoiding the fact he is joining an already stacked Collingwood midfield of Pendlebury, Treloar, Sidebottom, Adams, Phlllips etc. which may see Dayne given less midfield time than he received in Brissy. This may see him spend more time rotated through a half forward flank or wing which has the potential to impact his scores. 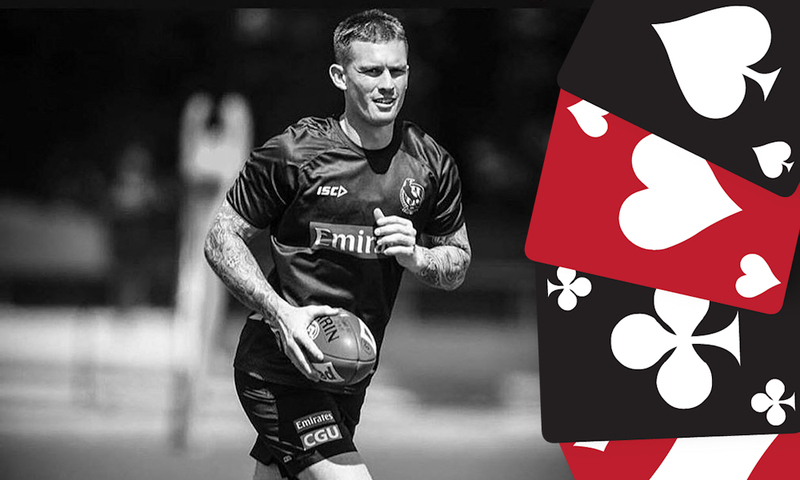 KING – Beams is undoubtedly one of the best players in the comp when fully fit. His trade back into the black and white and his newfound leadership and mental toughness following his recent personal tragedies has strengthened his character and should see him lead from the front in the Collingwood side. He is often underrated by coaches and is usually a unique and in 2019, should be a pretty low-risk premium pick that could reap high rewards. FOLLOW US ON TWITTER: @DTTALK for all thing AFL Fantasy (and more). Got something to say about the deck? Use the hashtag… #DeckofDT.